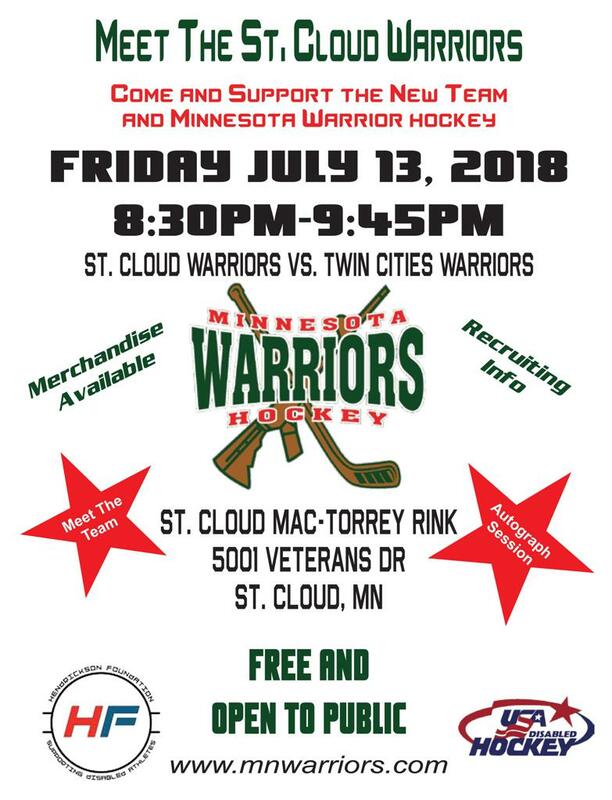 The Minnesota Warriors are proud to announce a new Minnesota Warrior Hockey Team in St. Cloud. The MN Warriors Ice Hockey Program has been organized for charitable and educational purposes, for United States Military personnel wounded, injured or otherwise disabled veterans of the United States Military in conjunction with the USA Disabled Hockey Program, in order to assist our veterans with reintegration into civilian life.